Mark has been employed by Grundfos Pumps for the past 13 years, but his industry experience dates back over 30 years. 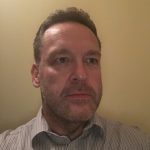 His early background in both sales and services roles mean that he is highly regarded by both colleagues and customers for his in-depth understanding of complex pump systems as well as his extensive pump knowledge. His career within Grundfos has continuing to flourish, and his remit was recently expanded to encompass additional responsibilities in his current wider role of National Business Development Manager.